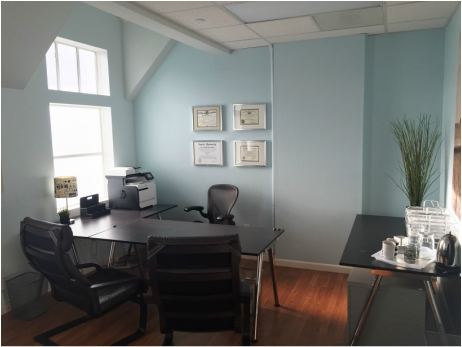 Schedule An Appointment In Our San Leandro Office. Chapter 7 rates start at $500. File Chapter 13 for as little as $100 down. We are conveniently located off of I-580 in San Leandro. Contact us today to schedule your free consultation. Our East Bay bankruptcy attorney is conveniently located off of I-580 in San Leandro. This central location is easily reached from Oakland, Hayward, San Leandro, Castro Valley, Union City, and Alameda. We also have locations in Walnut Creek and Pleasanton. Contact us for your free consultation and we will discuss your bankruptcy options. When you meet with our attorney, Ryan P. Keenan, he will determine whether bankruptcy is a good idea for you. He will also inform you on the differences and advantages of Chapter 7 and Chapter 13 bankruptcy. Call 510-556-1160 or click below to schedule your appointment. A look inside our office. Our office is located above the Starbucks in the red clock tower building. There is a small parking lot to the north of the building for your convenience. The entrance to the office is also on the north end of the building. Our bankruptcy attorney is on the second floor. The building has an elevator. Contact Us And Attorney Ryan Keenan Will Contact You Shortly.